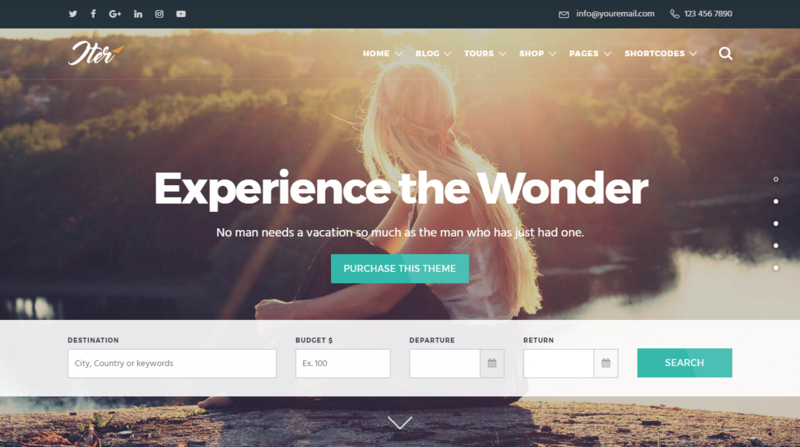 It’s time to take a closer look at the Best WordPress Travel Themes! Adventures are all well and good in the pages of a storybook or the exciting movie screen. But did anyone bother to think the characters going places probably had to set up their fantastical excursions through a travel agency? Probably not! 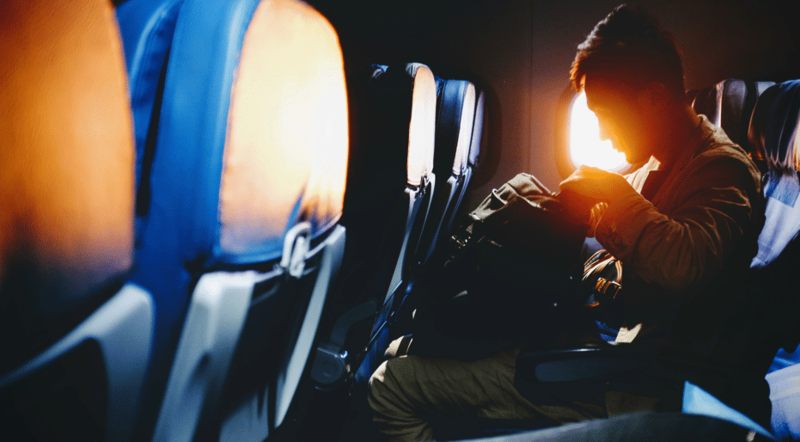 Well, the reality is, any vacation or escape is conducted through an agency – or should be. Going to foreign places is all well and good, but the fine details related to such a visit are complex. Why am I prattling about this? 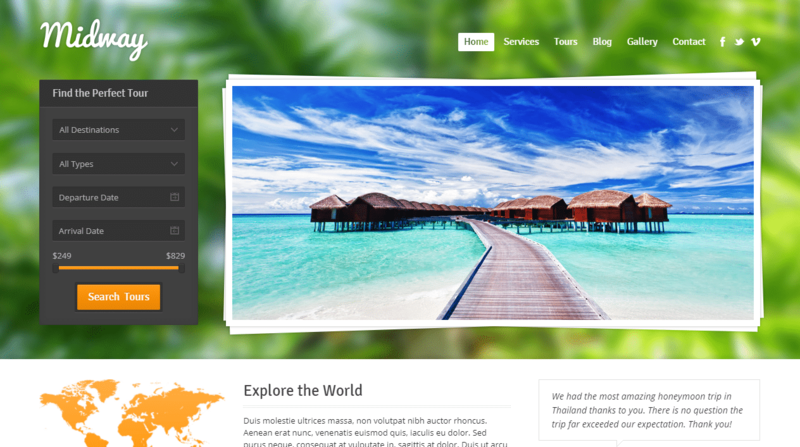 Because today it’s time for us to visit the wonderful world of travel based WordPress themes. Yes, as is a tradition with WordPress’s flexibility, there’s a whole host of great themes out there, ready for the picking. 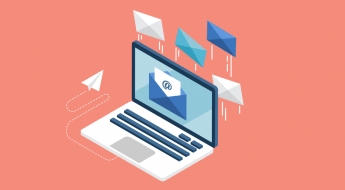 This is important because most people do their reserving through websites, and if your business doesn’t have one, it’s missing out on an enormous potential client pool. So, once again, readers are confronted with the same challenge: how do you know which one is best for you? Worry not, dear reader. As a loyal warrior to explanations and subjective opinion, I’m here to help you grab this basket of themes and shake out the one which works for you. 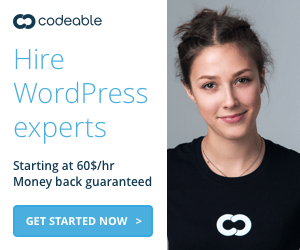 This is because there are hundreds of travel WordPress themes. A lot of them have similar qualities and features, but we’re not looking to blur the lines. I want you to find the best. As is my usual dive into a nearly endless sea of creative concepts, I can only help if you know what you’re looking for. A professional business, a personal blog, an agency looking to host online sales, a review website; these are a few possibilities. But, it’s important you have a checklist of core features you must have for your website to work. If you want to sell, you probably want WooCommerce integration. If you’re writing blogs, you might want social media extensions. Once you get a small list of things you want or need from the theme in question, then can you make an accurate decision. It’ll save you money and frustration. My choices are purely subjective, and I base them off of a few things: first impressions, visual design, features, premium plugins, and specialized category. At the end of the day, while I typically list the best rated or rising stars, they’re still opinions – a guide to get you on the right foot. Now, with that out of the way, let’s start with the best of the best. Book Your Travel sits high atop its throne of experience and positive reviews. It even goes so far to make the claim – yeah, we’re so good, we changed the game and forced other WordPress themes to improve. While I can’t speak for the accuracy of the claim, I can certainly point out it’s loaded with features. It has the essentials down – great mobile performance, SEO optimization, and ease of installation. Then, it’s got features for renting cars, booking trips, reviewing locations, reserving hotels, and price listings, to name a few. It all blends with a simple, but elegantly powerful visual design. You are getting precisely what you need from this theme as a professional agency. Apart from traveling, hotels are the crucible by which visits are judged. Hard to relax on the hot beach when your motel room stinks and is infested with lice. Oh, how could we have known, you lament. 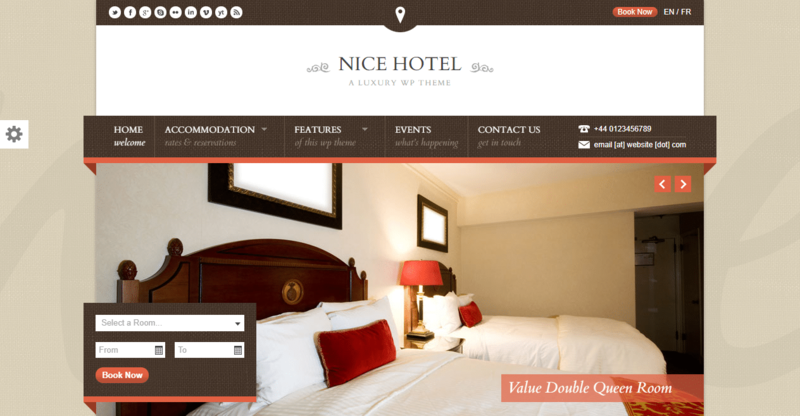 Nice Hotel is the hero in this hypothetical because it’s a WordPress theme for featuring them. 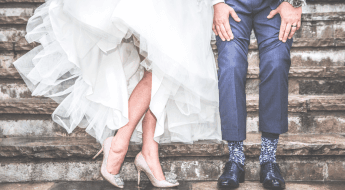 Purchasers can list all the great qualities of hotels, including how to book, event creation, reservation system, and of course, a spot for guests to leave their thoughts. It is functional, and you don’t need any razzle dazzle beyond that. It’s easy to configure, is translation ready, and works well on mobile. Nice theme, Nice Hotel. There’s nothing more human than a hunger for discovery. 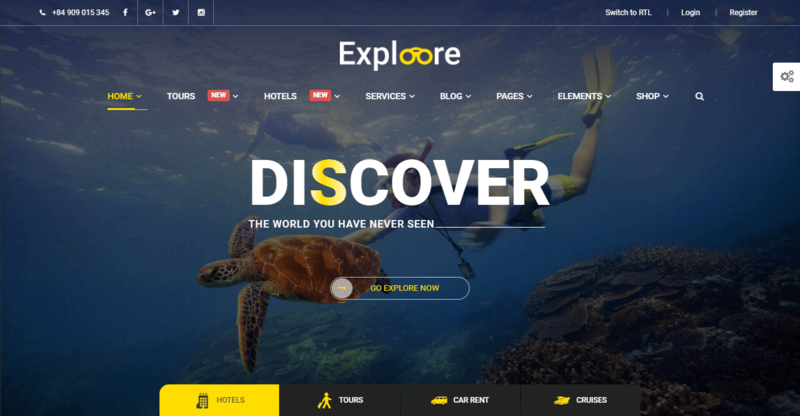 GoExplore accommodates that, a WordPress theme which is great for community building or solo reviews. Though it’s rooted in travel, it’s flexible enough where the purchaser can design it however they wish. Best theme parks in a state? Easy. Cool bridges of Europe? Okay, go for it. It’s a place for reviews, articles, blogs, opinions, and whatever else you conjure up. The idea, at least, is to have people come back to it over and over. Beyond its in-depth customization options, it also has SEO optimization, mobile responsiveness, author pages, and a whole bunch more. Adventure is great, but sometimes tourist attractions are better. 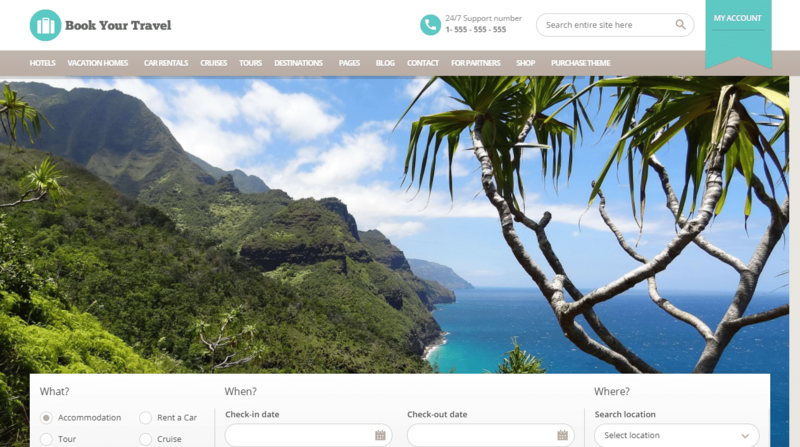 Why not help visitors find popular destinations with Entrada, a WordPress theme for booking tourist attractions. This fantastic theme has great, modern visuals and responsive mobile design to maximize visitor efficiency. But, it’s packed with premium plugins (add-ons which typically cost money) for free. 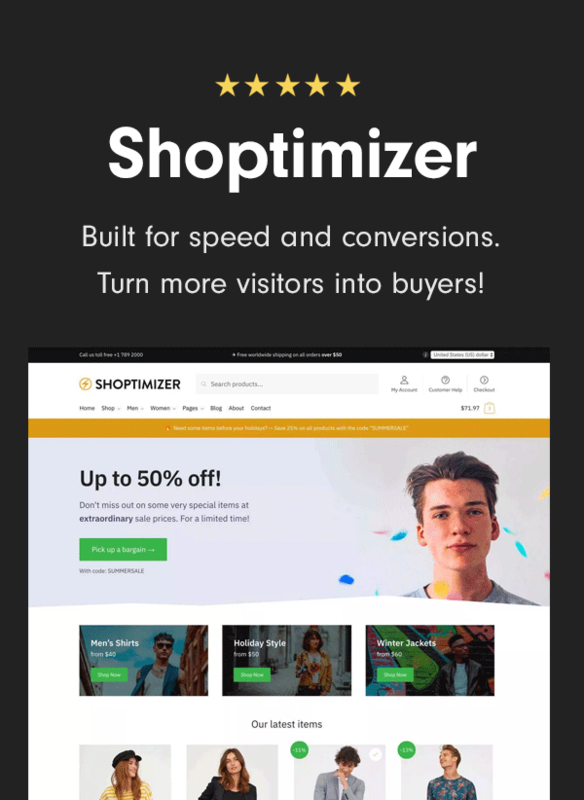 Not only do purchasers get a website with unique logos and awesome visuals, they also get WooCommerce, Visual Composer, Slider Revolution, PayPal compatibility and more. 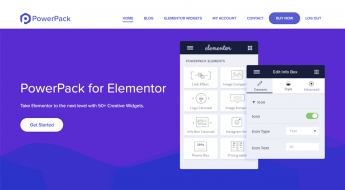 With a rich plethora of creation tools, you’ll create the idea you have in mind with ease. If you’re after a theme which works, has plenty of features, looks good, and works well on any device, Tour Package is for you. 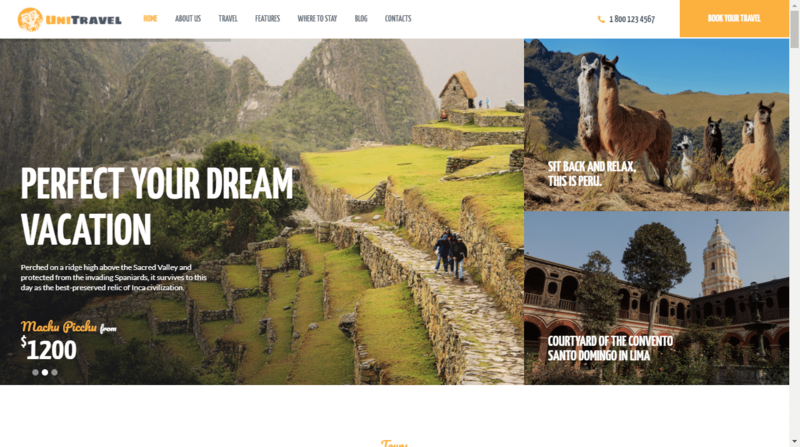 This WordPress theme sits at the top of the travel category, reviewed positively for its reliability and creation assets. SEO optimization and PayPal integration mean you can easily set up booking appointments for travel locations, while an in-depth customization tool allows for unique website construction. If you have a company or agency which books tours or sets up destinations, look no further. Tour Package gives you everything you need. 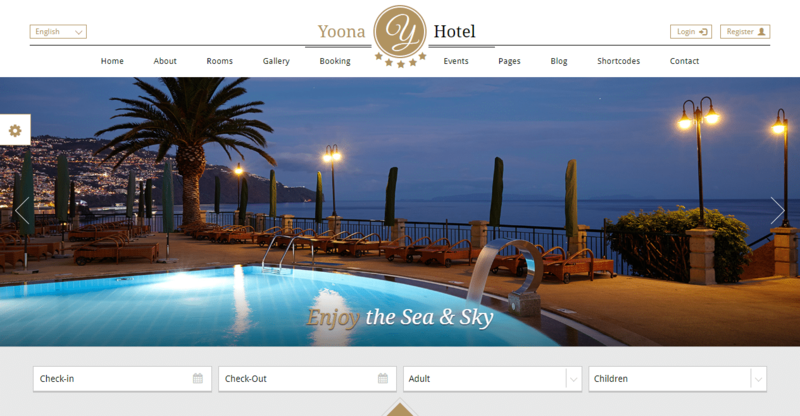 Another listing for hotel based WordPress themes, Yoona is ready to help visitors nab their room or resort of choice. It’s got a nice, elegant design and of course has more features than I have fingers. Works on mobile, as you can imagine, and has a nice “box” style which looks great. A few handy features come along for the ride, such as tools to change accepted currency, room organization, and 24/7 support from the theme creators. I think it’s safe to say we’ll be seeing a lot of travel themes related to hotels. Which is fine, because again, they’re a big part of a trip’s success. Hotel Xenia, however, adds a little more luxury to its look with a beautiful minimalist style. You can host various hostel features – such as resort specialties, deals, and things to do – all powered by its BootStrap design. You also get the Yoast SEO plugin, an extremely useful utility to gauge SEO effectiveness. On top of that, multi-language support is part of the package and drag-and-drop design makes website creation easy. 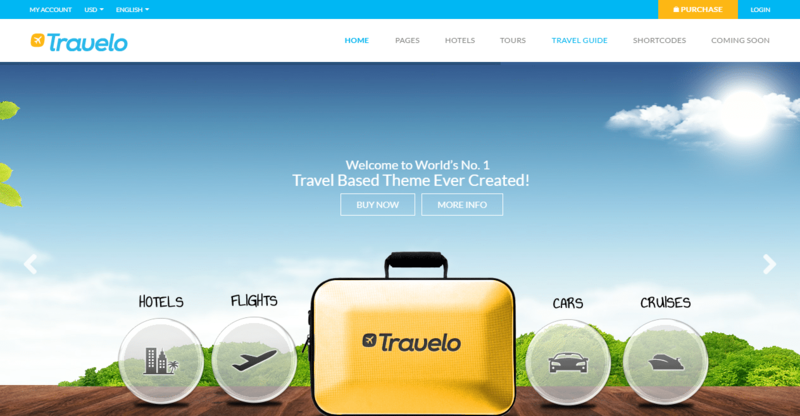 Travelo is a colorful theme for booking reservations or hotels. No surprise there! But, if you want a “sunnier” theme to grab the eye of your visitors, this is a nice choice. Some of my previous picks are elegant, but not everyone is out to explore the world like King John. It also boasts itself as the “number one travel theme.” Is this true? Well it could be; the features certainly warrant high praise. For starters, it looks great and has tons of unique icons to help your website stand out. You also start with ten template site skins, custom widgets, and fancy CSS animations. Layer Slider, Revolution Slider, and Visual Composer are long for free, and a recent update also allowed for PayPal integration. That’s just the tip of the iceberg; if I went over every feature we would run out of room. Travelling is all about adventure, so Adventure Tours is set up to make it happen. 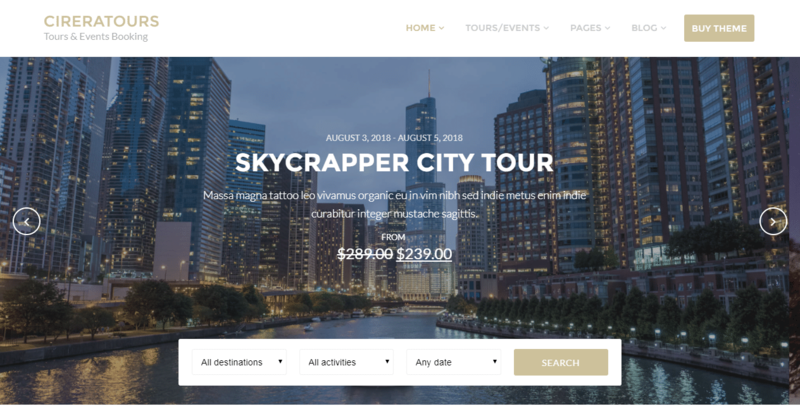 Like the name suggests, this travel theme is for booking tours and gives a comprehensive list of options for doing just that. Feature wise, it has some handy utilities like WooCommerce integration, discount options, pricing setups, and scheduling. Design wise it can be managed with one-click demo installs and drag-and-drop customization. Pages can have dozens of visual elements, giving visitors a complete sense of detail about what they’re after. A colorful theme fit for travel agencies, Midways is another mobile-compatible theme rich with customization options and features. Set prices for booking, create areas for review, events, or whatever else your agency thinks of. While it’s fairly simple in presentation, sometimes that’s all you need. It’s also worth noting this is primarily for booking travels, tours, or hotels. So, if that’s not what you’re after, this isn’t the right pick for you. 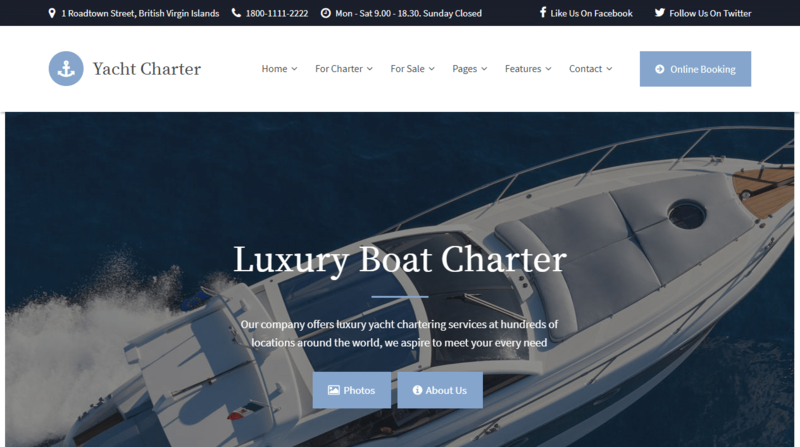 As I switch gears now to more recent, well-reviewed WordPress themes, I wanted to toss Yacht Charter into the list. Nothing says ritzy, mustache-twiddling travel like a yacht! Niche categories are important because a lot of themes touch the same categories, so specialized items are important. So, like the name suggests, this theme is all about yachts, boats, ships, and travel on the ocean, whatever that entails. Feature wise, it has everything to facilitate booking yachts, getting prices, and reserving trips. On top of that, premium plugins like Revolution Slider and Visual Composer chart the course. Its simple, elegant, and functional. Everyone wants a slice of paradise, so let’s get them on the right track – with Paradise! 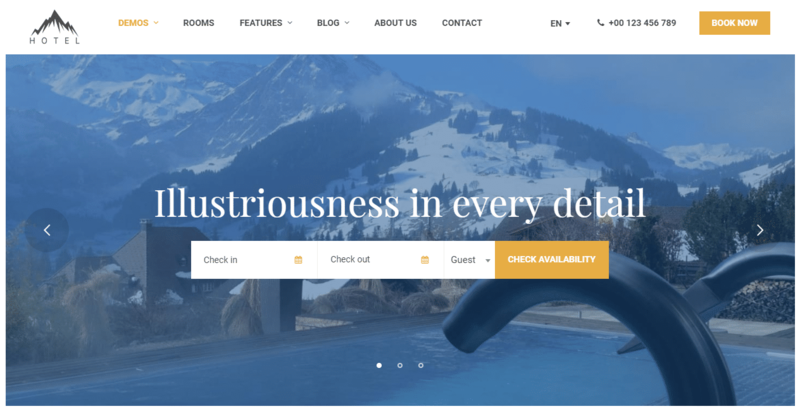 This WordPress theme is for luxury resorts, hotels, and vistas, crafted to host those five-star locations with super-responsive design and useful portfolio features. One can give lots of details and reviews for their hotels of choice, using the in-depth profile system Paradise uses. It has several starting templates for quick installation, has a custom booking system which gives full details about rooms, and offers payment integration with websites like PayPal. 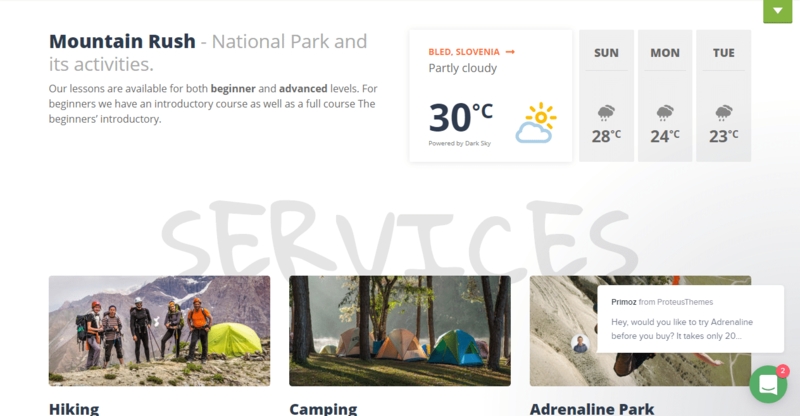 Though it’s a WordPress theme for booking travel locales, this one focused more on parks and nature outings. And who couldn’t use a little more nature in their life? It’s a great, simple theme as well, with single page presentation and multiple layouts for deeper customization. The Opal Hotel plugin lets visitors book their hotels with ease and it’s got PayPal integration for easy payment. One of the other features I liked was the ability to modify exactly what you get from your visits – such as breakfast, the length of stay, or additional services. Though, just don’t expect room service out in the woods. That’s not a typo, it’s the Exploore WordPress theme. This multi-purpose is perfect for accommodating hotel reservations, car rentals, or tour events. Rife with shortcodes, it gives visitors numerous ways to customize their trips. For buyers, you get several home page templates and a variety of customization options to better serve your customer base. 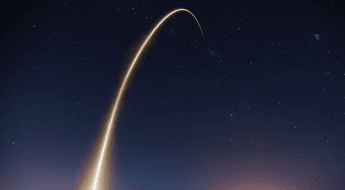 It may not be oozing flash, but it’s better to have a website which works. I don’t think you could get more on the nose than this. 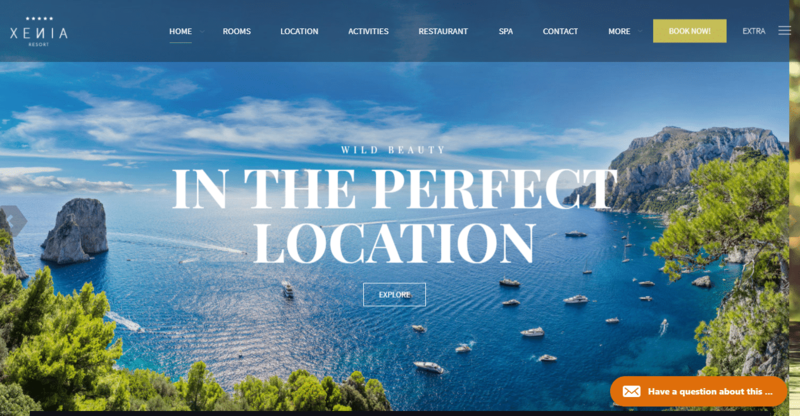 Hotel WP is a theme for luxury hotels, resorts, or travel (or all three), as you’d expect. However, though it may not shock us with a creative name, it’s got an established reputation to prove its reliability. Likely because it’s highly responsive, beautifully designed, and has all sorts of features and social media integration to enhance the visitor experience. Take fancy pictures of fancier hotels and link via Instagram, for instance. Additionally, SEO optimization complements the Visual Composer and WooCommerce plugins, to list a few essential features. Pearl’s just a little different in that it has sections for either hotels or restaurants. Which is nice, as most of the themes listed don’t include dining out as a subject of focus. With Pearl, you start with two essential formats, one for hotel or one for restaurant. After that, you’ve got a plethora of demo options and ways to customize your website. Setting up reservations is easy as the theme has payment integration. 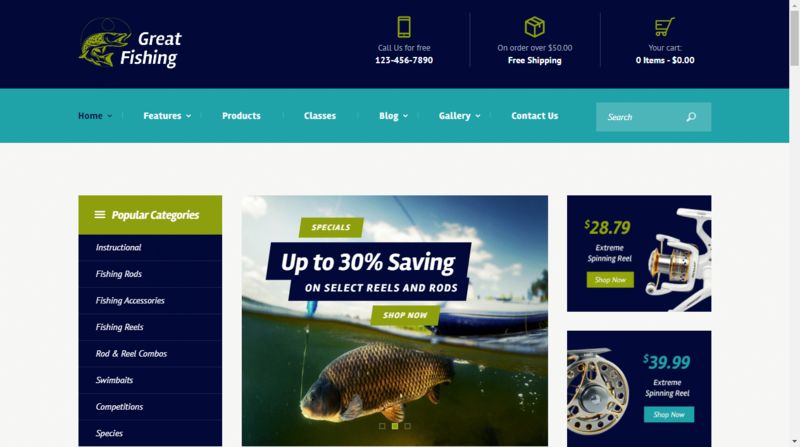 It also comes with Visual Composer, WooCommerce, and Slider Revolution. A nice package which covers some different territory. What’s better than sports? Extreme sports. 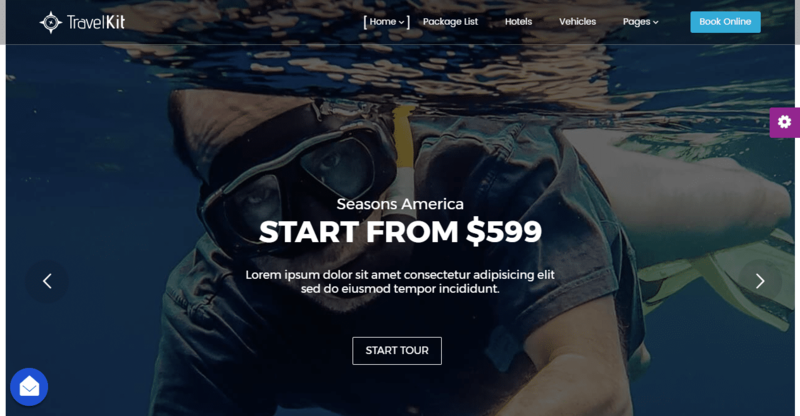 At least, it’s the opinion of Adrenaline, a travel WordPress theme for outdoor events. What those events entail is up to the buyer, but you’re given the tools to create reservations for events in question. For example, a mountain climbing event created through Adrenaline gives full details, like temperature, cost, and location. 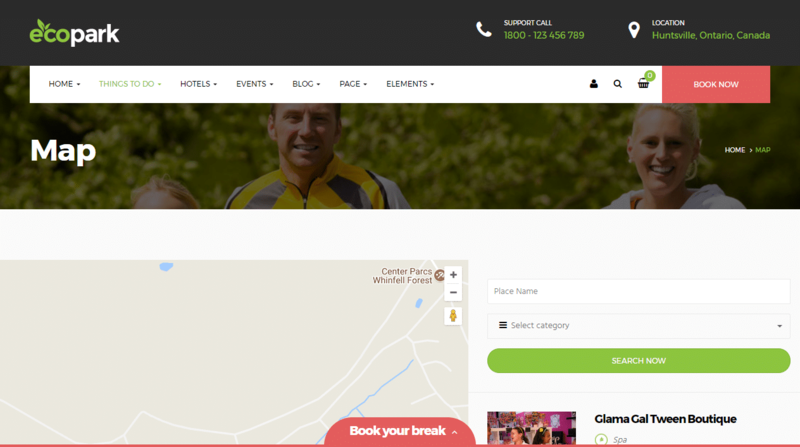 Visitors can book their preferred event with WooCommere integration, and it also has Slider Revolution for free. Overall, it’s a fairly niche theme with great assets to back it up. 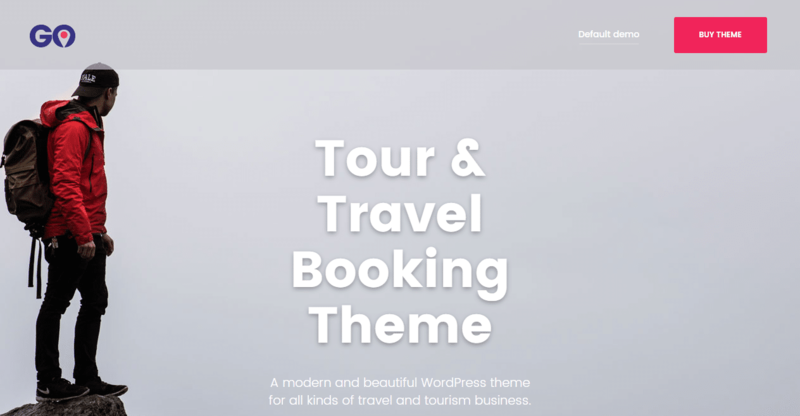 It’s a mystery what this travel WordPress theme could possibly be about. But joking aside, this theme is all about reservations and hunting events. 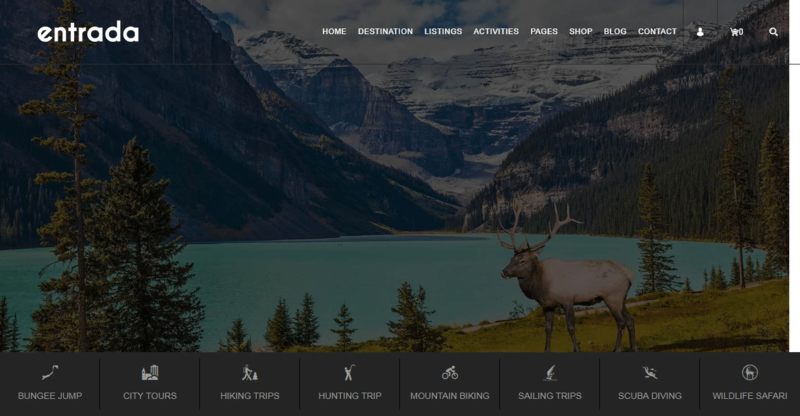 Purchasers can create luxurious websites which sell inventory, reserve locations, and fulfill itinerary for hunting related purposes. On top of that, you get plenty of essential creation tools to aid the process. 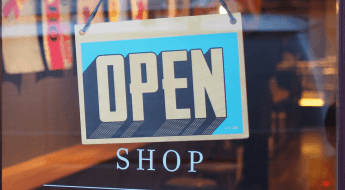 WooCommerce, animation sliders, mobile optimization, and more compliment the website structure. Easy to build and easy to navigate. 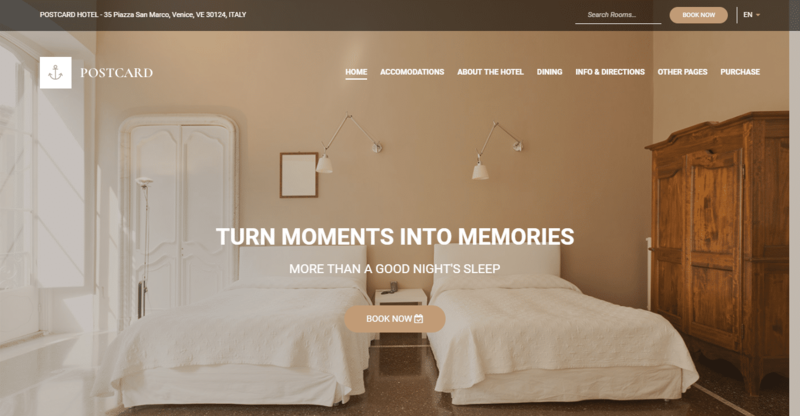 Volver continues my growing list of hotel based WordPress themes, complete with drag-and-drop page designer and advanced booking system. Purchasers can offer visitors a variety of rates, all while using the simple – but effective – visual design of the website. Map integration also comes along for convenience, and agencies can set various price tiers for indivudal rooms or seasons. Great for booking agencies and hotel owners alike. It’s tradition for theme names to have slight additions to their spelling. It’s also tradition for them to be rather good. Hotella is no exception. 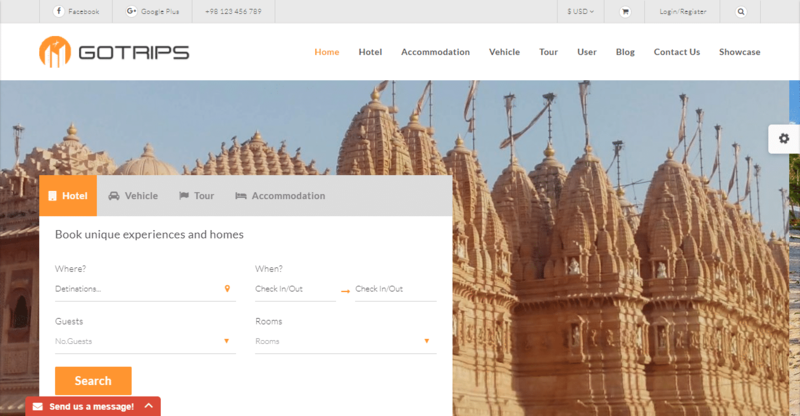 This functional travel theme has lots of helpful features specifically for booking hotels. 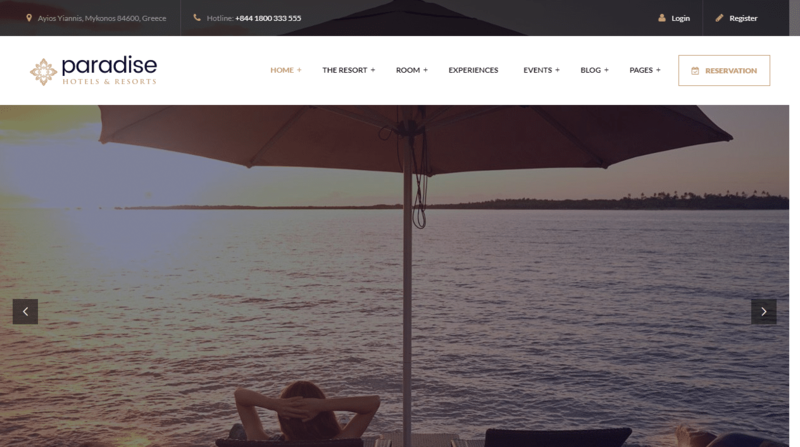 Website creators can manage pages which inform visitors about the price of rooms, update them on availability, and set reservations. All of this is handled through an elegant, responsive design. It also has WooCommerce support and is multi-language ready, allowing your business to reach a wider market. We’re on our last stretch boys and girls, and on this shortening road, I’m tossing in the more recent themes from our travel category. Lake Resort starts us off, a theme for booking resorts (what a surprise! ), accommodations, hotels, or anything else you think of. It has an in-depth menu system and is capable of customizing individual pages loaded with features like prices, room features, and services. You also get five initial demos to start you off, making page construction simple. Visual Composer manages said construction, and you can expect full mobile responsiveness. You can’t tell someone how great a vacation is without a postcard! Oh, well, with the internet yeah you can. 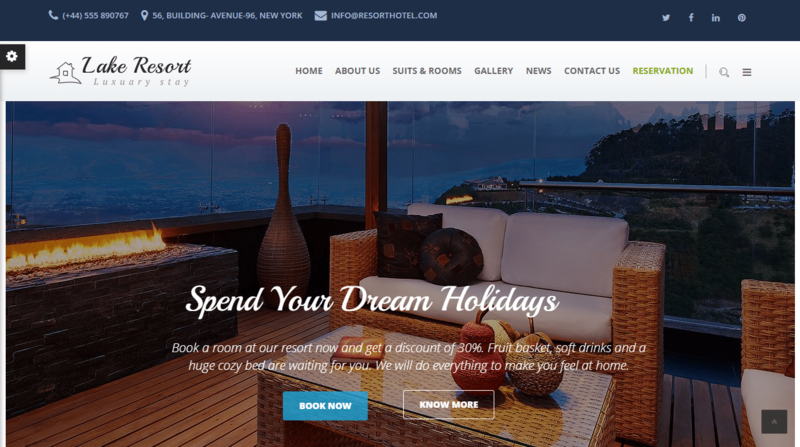 But at least we have Postcard, another hotel WordPress theme perfect for travel agencies. 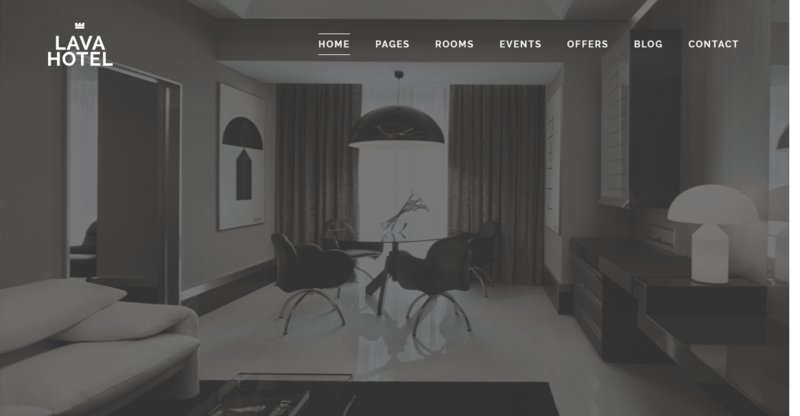 This modern theme gives you everything you need for a hotel start-up – online booking, reservation system, purchasing online, room management, and drag-and-drop design. Easy to make, easier to use. 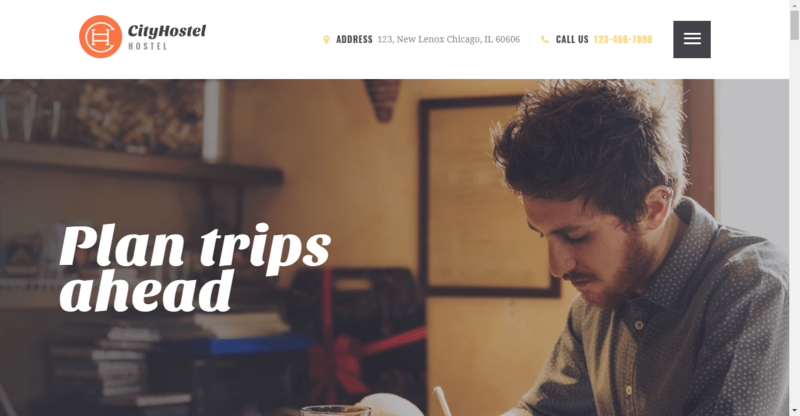 UniTravel takes a more visually engaging approach to attract customers for you. With one click install, you can rely on its simple but colorful design choices to hold reader’s attention as you let them explore hotels, reservations, locales, and their respective prices. UniTravel doesn’t require coding knowledge either, and is SEO optimized. This could be the extra punch your business needs to move things along. Fortunately, Lava isn’t dedicated to sending wayward tourists into the hot grip of live magma. 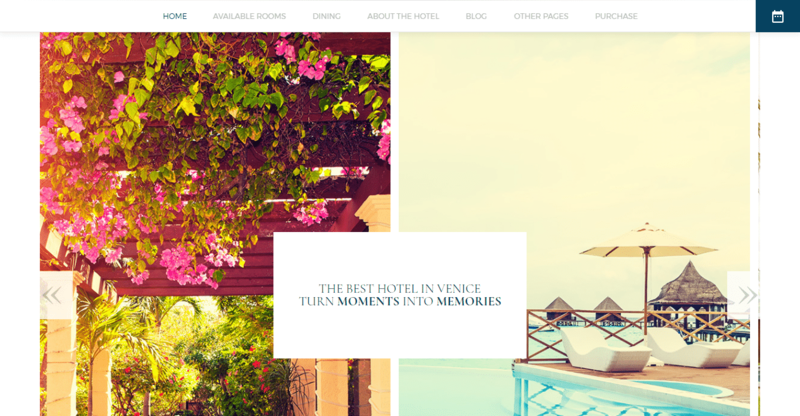 Rather it’s a luxury WordPress theme for hotels, complete with features you’ve come to expect. Advanced booking system, room descriptions, responsive design, the whole tea and cake. As an added bonus, among its other features, you also have great support, so you won’t be left scratching your head during the design process. 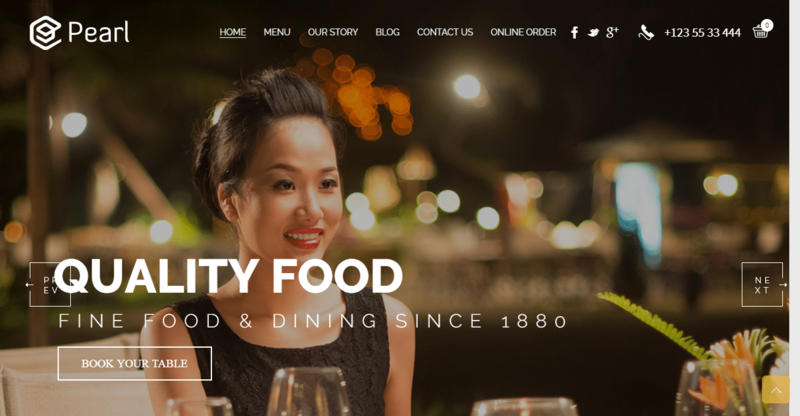 You can make it possible with this WordPress theme, ideal for booking agencies and reservations. Whether it’s events, locations, tours, or hotels, Go has you covered. You can create descriptive listings for locations to visit, make it easy to book dates and accept payment for said reservations with the theme. You’ll also have four starting demos to work with, a great addition to get things running quickly. Though categories can blur, City Hostel is for hotels and location reservations. With a boxed, modern layout, visitors will have an easy time browsing your website’s content, especially on mobile. It starts you off with three basic layouts too, so you have something to work with during website creation. 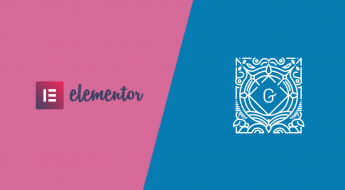 WooCommerce integration and Visual Composer are also along for the ride. Iter is another great WordPress theme for travel, but has a few additional features to help it stand out. Where you can create areas for reservations and tour locations, there are also places where consumers can leave feedback about their trips. This extra layer of a community will create a stronger trust in your brand, leading to higher sales and better website performance. 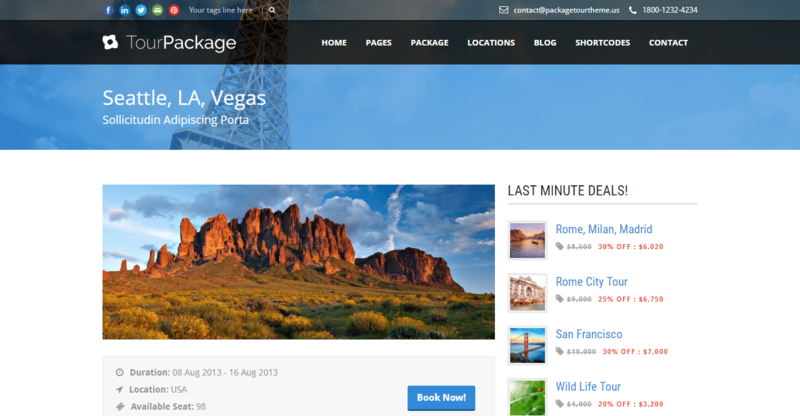 Hiding amongst its brethren is Gotrips, a rising star WordPress theme which already excels in both praise and reviews. Initially, it’s got all the essentials you need for hotel booking: reservation system, reviews, a way to customize service, and more. Users will also get these lists from box-style design which makes website exploration easy, especially on mobile. Support is great making sure you can build whatever you want without trouble, and you also get a series of helpful add-ons for free. With PayPal integration, reservations can also be made online. No, I can’t pronounce the name either. But, I can certainly recommend this next theme for its features and design. Cireratours is for booking events and tours and makes that possible with accessible functions. You can create trips, set prices, take online reservations, leave reviews, and more, all from an easy-to-use theme creation system. You also have several starting layouts and WooCommerce integration is part of the package. Not bad for a newbie! 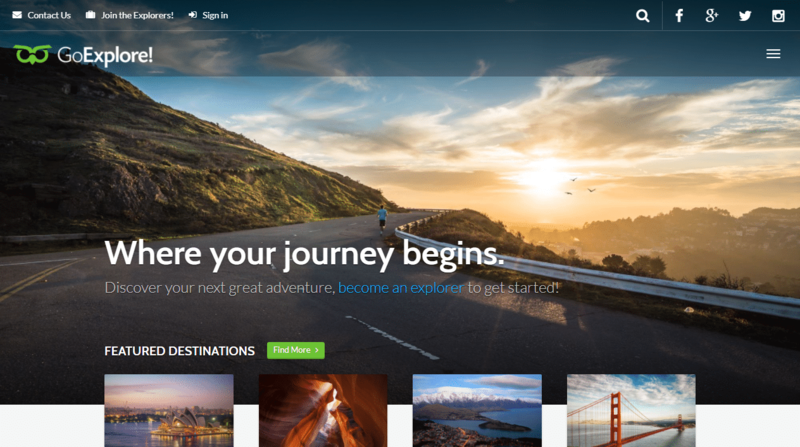 It’s almost time for us to wrap up here, so allow me to finish my pick with Travelkit, a well-rated WordPress theme. 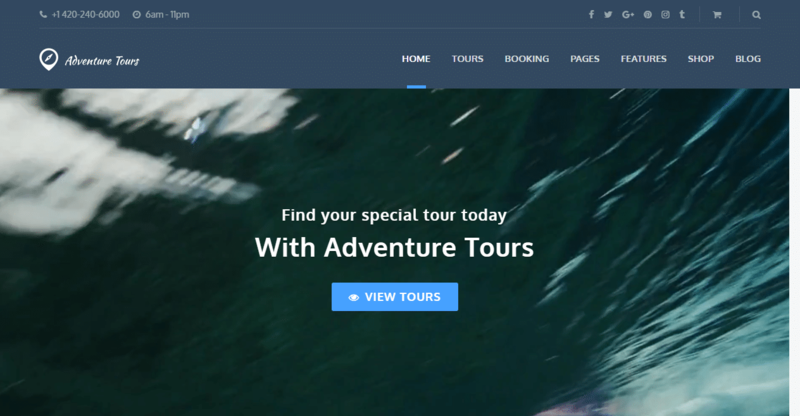 Travel agencies can make great use of its robust features and responsive design, such as its ability to sell tour packages. You can also set descriptions for hotels, make online reservations, and write reviews. 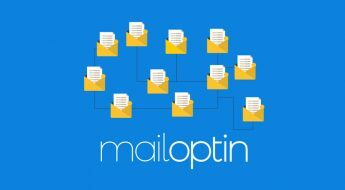 Create galleries and maximize page effectiveness with unique page creation assets. Whatever you need, it’s all here. 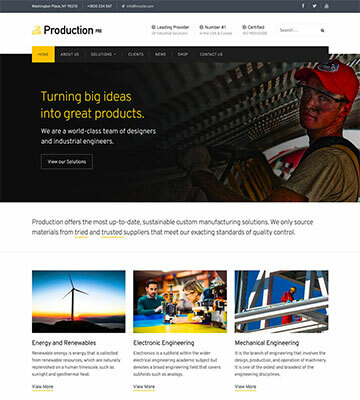 Douglas James is a professional freelancer from the heart of Georgia, USA. He's is an expert on WordPress theme curation and content creation projects for many popular websites.